What am I reading and eating? 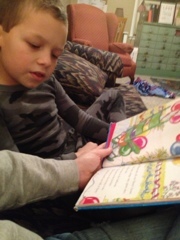 I never get tired of hearing my first grade son read to me. This week he has a nice book stack from the public library, with the majority by one of our favorite authors: Cynthia Rylant. 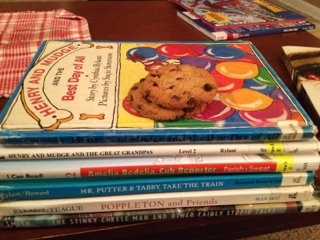 These books, like most I know, are best enjoyed with a few chocolate chip cookies.